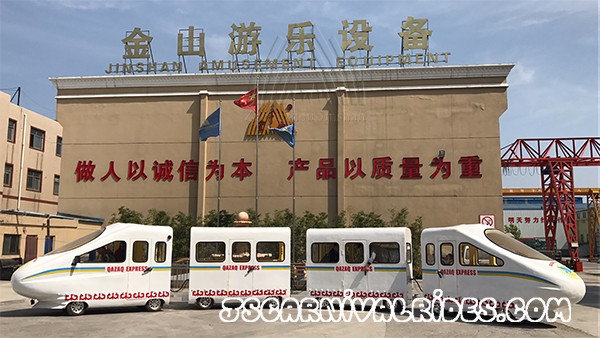 In February, our Kazakhstan customer ordered a high speed rail trackless train ride. He had some customization about the appearance, lights and so on. 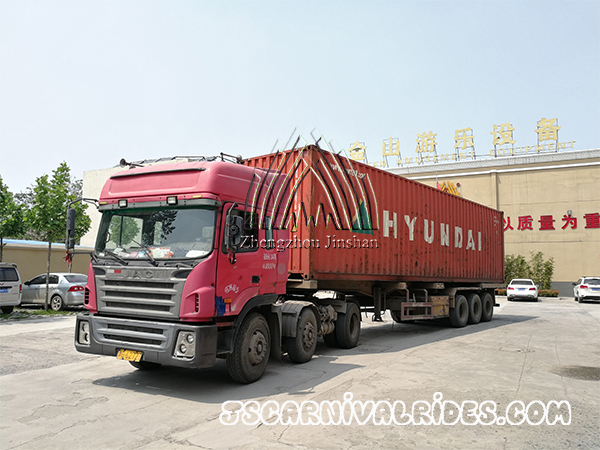 And in this month we completed all the production and arranged the goods to be shipped today. 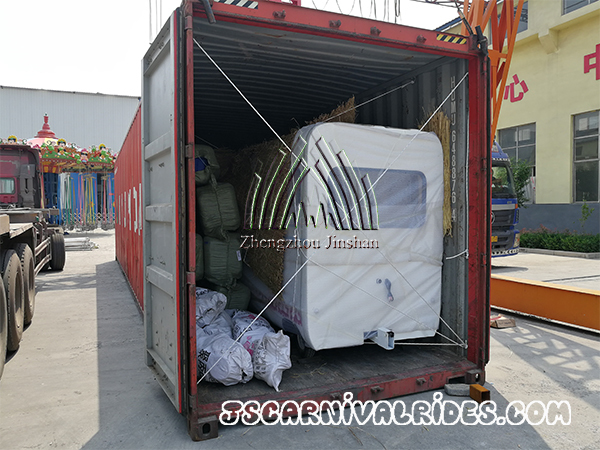 Next： America Customer Came to Visit Our Factory and Examined His Carousel Order.